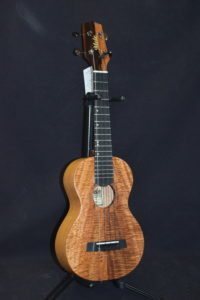 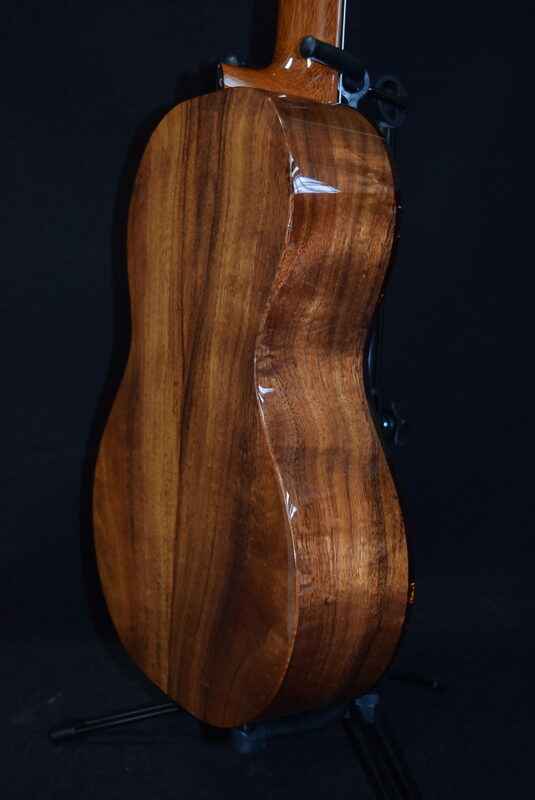 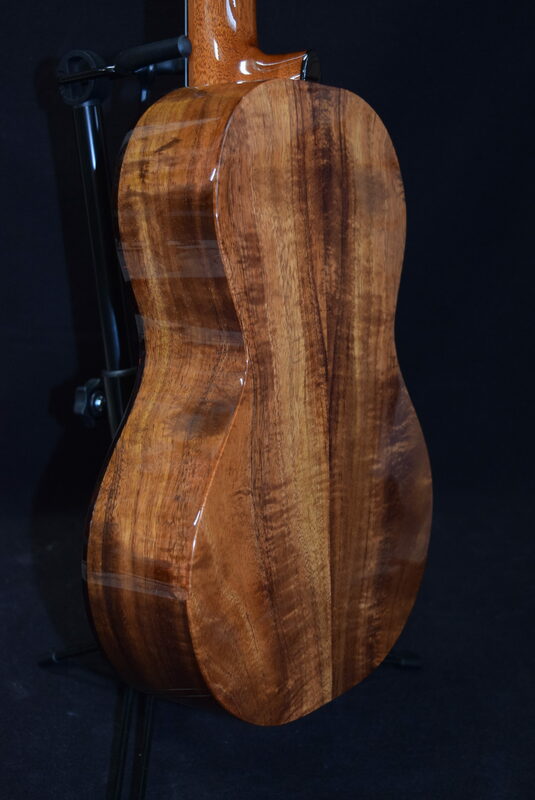 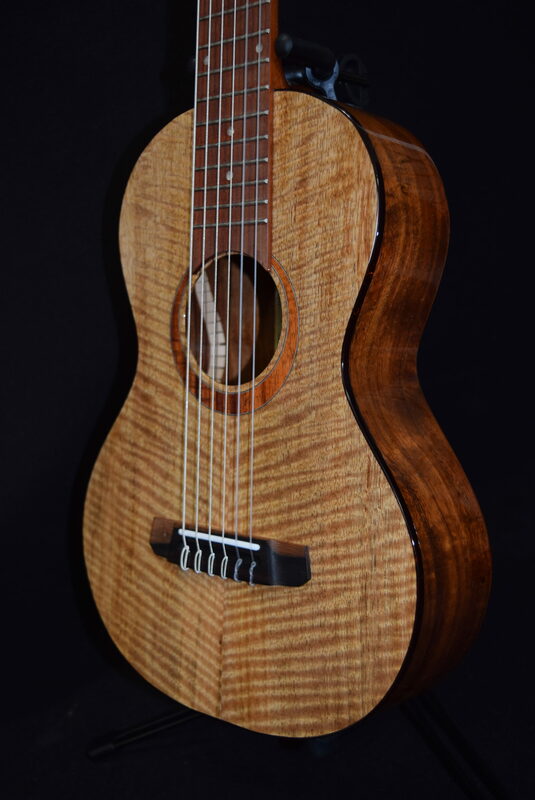 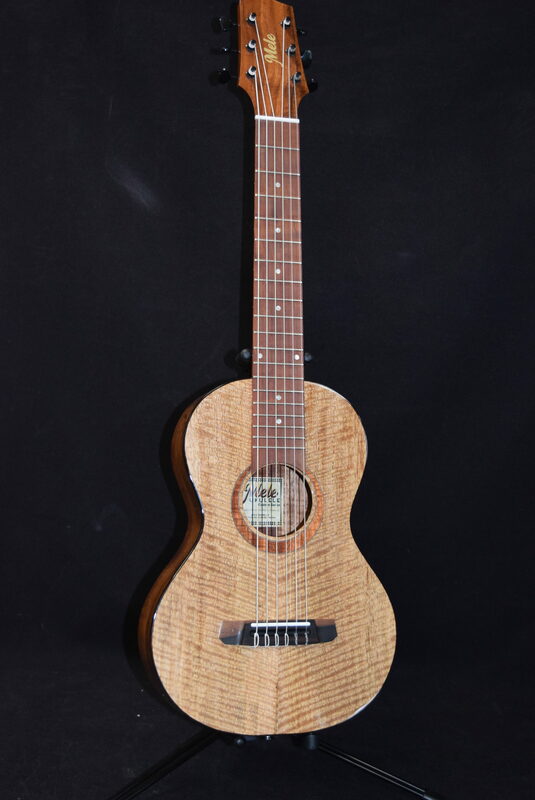 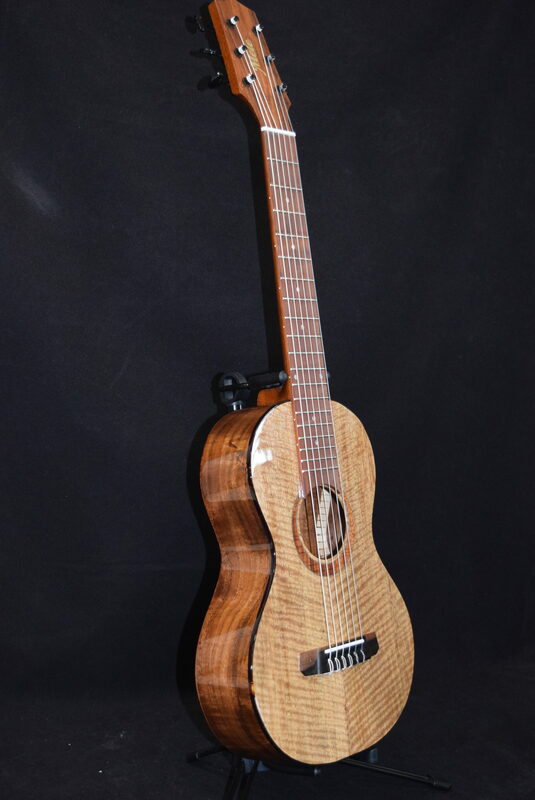 This Mele Mango with Koa sides and back Guitarlele #MKHANA has many different looks from your standard, non-curly,non-glossy versions starting at $849. 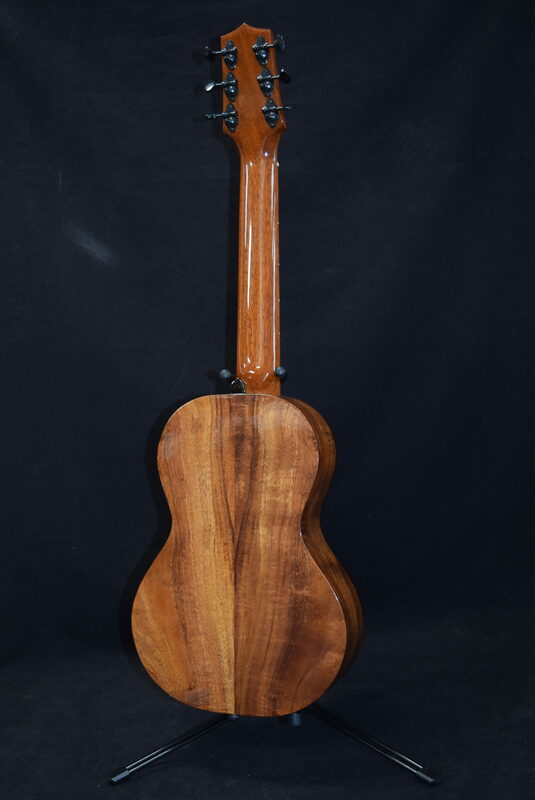 Made of Maui Mango Wood from Hana and Koa wood from the Big Island , Kona . 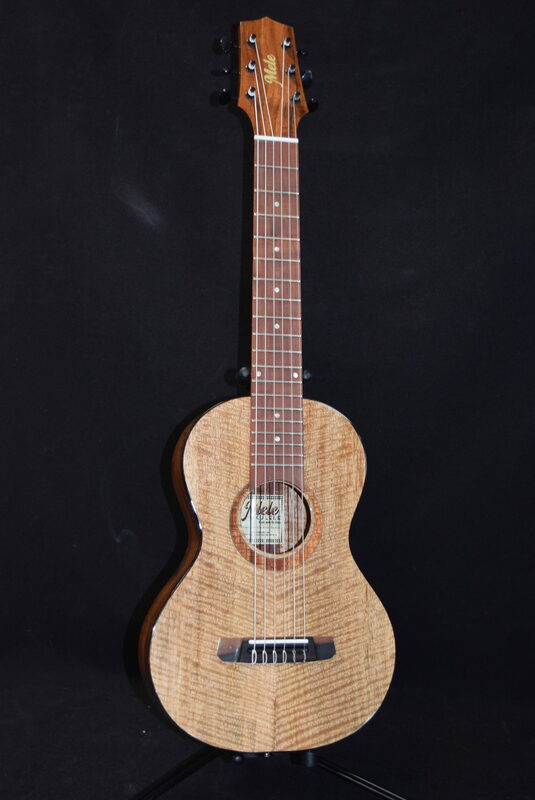 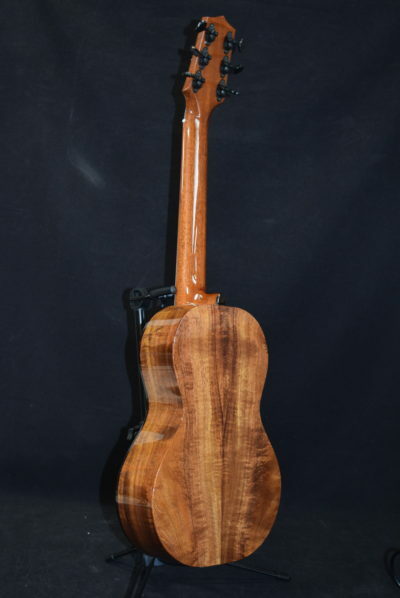 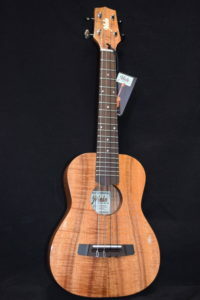 The unique fretboard made from Maui ” Lychee” wood . 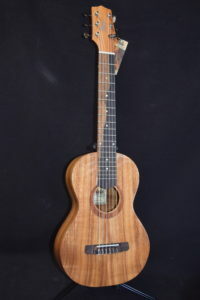 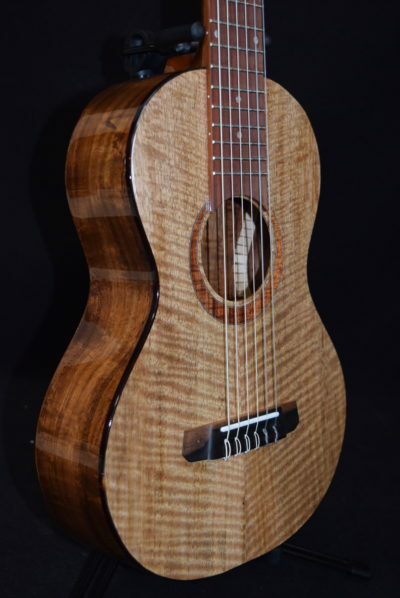 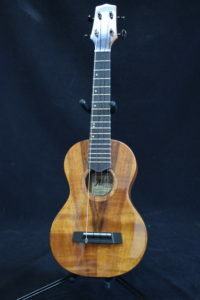 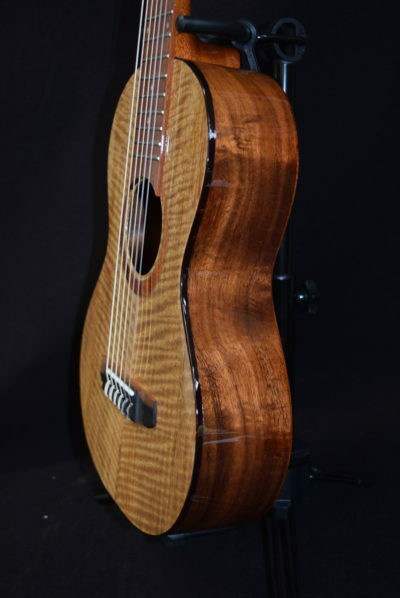 Mele guitarleles have become the best-known and most sought in the industry, both because of their entirely handmade construction and their very reasonable prices, as well as the fact that they are tuned EADGBE (standard guitar tuning).